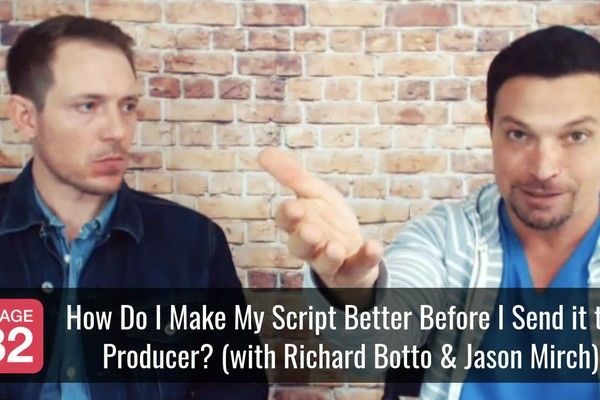 It was one of my (mostly) daily tips in the screenwriting lounge that spawned this post, but it was also mentioned that perhaps the community would be interested in things I’ve learned and could relay in regards to my experience. So, I put the two thoughts on the simmer burner of my brain and when I went to check the pot, I remembered that both my creative approach to projects and my personal approach to professional accomplishment, are one in the same and that is the most valuable tidbit I could share. Composers make sure their music heightens plot and enhances theme at crucial moments. Actors, Directors, Cinematographers, Art Directors, Costume Designers even Grips, ALL OF US, come together for the sake of a project’s cohesive vision, that starts with the writer’s point of view. It’s rarely easy, but when synergy is achieved, it’s undeniable. All of us have studied and continually strived to perfect these components – not only within the creative property as a whole, but with each other and most importantly to us, our specific contribution. Entertainment is a collaborative process. Even if you are a Writer/Producer/Actor/Director, a slew of people are needed to help you get your project’s vision realized. The first step to this life is to understand what is at the core of being creative. I’ve been creative all of my life; fortunate that I never lost that aspect of childhood wonder, that allows imaginations to run wild (Doctors said I’d grow out of a few things, but I tricked them, because I stopped growing, but that’s another story). Even though I’ve always known I’d be in a creative field and even though I never had any difficulty advancing via scholarships and jobs, applying my creativity, I never thought about what it meant, or even if I was doing it right. I assumed being able to claim that I wasn’t a starving artist was all that mattered. I can remember in college my personal goal was to be an Art Director at an ad agency within two years of graduation. When I easily beat that goal by more than half, I was bored out of my mind. Literally burnt out by 20, I was good, but I wasn’t doing what I loved, so I went rogue for a bit. 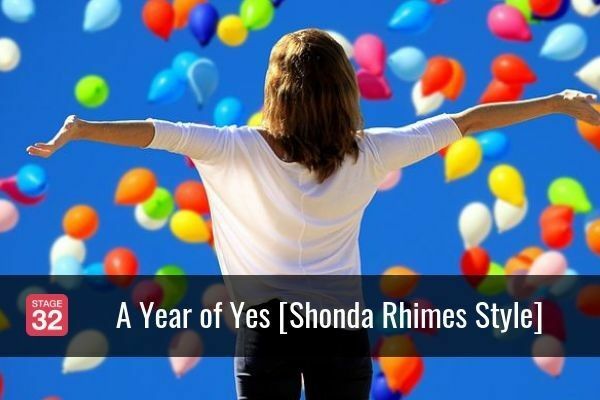 I eventually had an 'aha' moment in a theater, that led me to where I was meant to be, but I had no plan for that either, I just knew that the film industry was the right direction. I brazenly walked into a studio, with a rodent for a logo and my creative ability once again got me the job, but it wasn’t until years later when I was asked to teach a class on how to be creative, that I processed what that actually meant and boiled it down to one core factor, from which all of those four key elements spring, it’s what lies beneath that is so difficult for creatives to make use of and present to others. THE PLOT of doing what you love is to understand the 'how' of what you do that affects others. 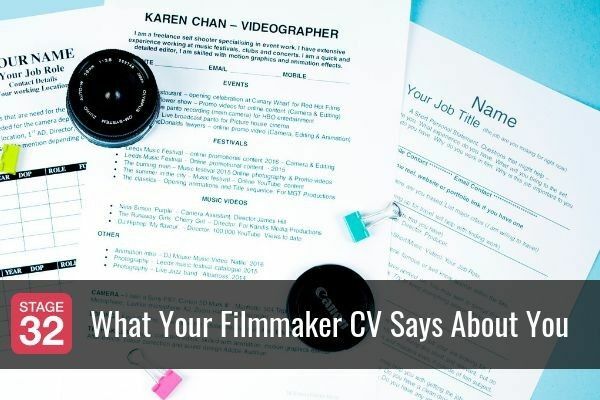 Having run the gamut from commercial broadcast, to live action, documentary and animated features, I cannot stress enough how important it is to understand how your role fits into the process. Many people wonder how Disney (and by default, Pixar animation) time and time again produce such great projects with characters that stick with us for eternity whether we like it or not. Yes, all of their crew excel at what they do, but the key lies in the ancillary training. The film crews go on research trips, take improv classes and draw from life. (I actually spent six months getting certified to train exotic animals during The Lion King). During our downtimes I started a program where I made every department take a scene through the entire production pipeline. So, for instance, the Special Effects artists had to storyboard a scene, cut it in, lay it out, record voiceover, rough animate it, clean up the animation, add effects, paint the layout, paint all of the character and effects elements and then see it through to the final frame of film (via scanning and camera). We actually took this a step further with The Lion King, and the prolific producer, Don Hahn, actually animated and shepherded a scene that is in the film. The amazing thing about the animation process at Disney/Pixar isn’t what appears on screen, but what happens behind the scenes and that is a lesson for all creative individuals and teams. You’ve no doubt seen photos of animators looking at themselves in mirrors to get the acting of a scene just right, but the offshoot of that role is that every moment of the artist’s life applies that same finely tuned sense of observation, so when you have hundreds of these people under one roof for 16 hour days, 4-year production cycles, with food, beverage and personality, the entire crew becomes adept at speaking and understanding each individual’s SUBTEXT AND SUBPLOT. This is different from agenda, which has evolved to mean someone manipulative. The subplot of your life (at its basic level) is not any different from the subplot of your project. After all, your life is a story in progress. Granted, a live action crew is not SO familiar for such a long time, but banging out a feature in 28 days on set, brings a whole other level to communication 101. The editing bay, or VFX compositors, forget it – these people stare at frames, in a cave of technology, where food is slid in like solitary confinement – perfecting frames the naked eye will never see! These doodles so effectively get to the heart of a person’s scene, mood, subtext and plot, they garner INSTANT reaction. 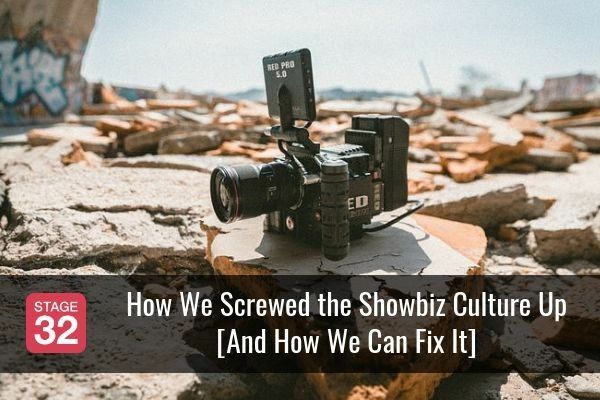 These crews become constant mirrors to each other’s psyches – all while trying to create a film that does the same to the audiences that will pay to see them. So how does the intimacy of a creative team help you achieve your personal and professional goals via these key elements? Remember that class I was asked to teach on how to be creative? It wasn’t like I was asked to mentor artistic interns, that would be easy, I was asked to spend a half a day with advertising account executives from the New York Times. This was a challenge that boiled down to one thing, one thing they could grasp without splattering paint over their pinstripe suits. I had a basket at the door and when they came into the room, I made them all drop their watches into it. I love to sling subtext that serves the little guy. In this case the underdog was the creative department of the NYT that had to put up with these execs. So I devised a simple exercise that would subversively have them realizing, just maybe they were missing something in their day-to-day approach to clients and co-workers. I had the tables set up with blank paper and colored pencils so they thought they would be drawing their own campaigns or such. Instead, I told them that I wanted them to draw, or at the very least, describe in writing, what their watches looked like. They were each dumbfounded that they could not whip out this simple exercise. I took each drawing and tried to find its mate in the basket. I tell you I did better relying on my memory of what they took off than what they provided as their perceived image. If you are scattered or suffer from memory issues, there are workarounds, take note of all you see (use an app or trusted post-its). Point is, all of us can take our creativity to the next level just by being a sponge. Actors and writers need to observe human behavior, DPs, gaffers and grips need to observe minute changes in lighting, focus and framing, set designers need to observe environments, producers need to observe the big picture alongside the minutiae – you get the point. Even when pitching, the key to being good in a room, is being observant of the subtext within the audience. It’s essential to be able to tap into the world around you in order to create something that resonates with it. Nowadays, I’d challenge you to do that exercise with your phone screen; if you had a blank piece of paper with little squares on it, could you fill in the apps that you stare at every day? When working in a creative team, strive to understand each individual’s goal and strive to see how yours will affect theirs. Do not go into this industry with blinders on. The more you know (or take on and figure out as you go) the more you will be able to steer the flow of synergistic energy. There will be conflict, but recognize that conflict for what it is, if something is in someone’s way and how you respond could make you a hero, or put you out looking for another gig. Live action films may end production quickly in the scheme of your life, but crew members keep in touch with those who work well together or at the very least understand the dynamics of what they’re going through. The idea is to get your personal story in line with your professional story and then take that to a team whose goal is to produce a collective story. In essence the circle of life, personally and professionally, is the circle of story. What lies beneath your inner drive has no place to go but up and when it does, you want it to fit and not break off off and float away. "Either write something worth reading or do something worth writing." If I had to sum up my vision and value it would be with this quote from Ben Franklin. I was schooled in the Ben Franklin way (literally and figuratively, you can see that detail if you read to the end). Story is my life, the hunt and thrill of finding a good one to the transcendental high of creating my own. But even old Ben knew that our creativity had to cross over into enterprise and to that end my value is that I make stories work. 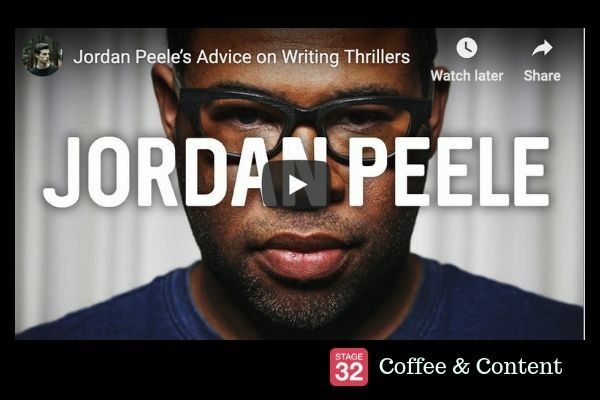 Whether on page, screen, home or web, from the idea to the final produced piece – it's delivered effectively by being emotionally driven to the audience and financially rewarding to the distributor. My expertise lies in getting to heart of the story, writing it, and then producing it across the most appropriate platform(s): Animation, Feature Film, Documentary, Entertainment, Media, Publishing, Synergy of Marketing and Traditional Advertising into Digital, Web and Interactive. I have performed as and hired staff for every aspect of film and transmedia production. 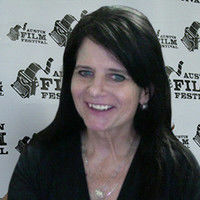 Currently a sought after script supervisor and longstanding reading judge and coverage analyst for The Austin Film Festival Screenplay Competition, one of our country’s preeminent, and many other respected niche´competitions that can launch your career. 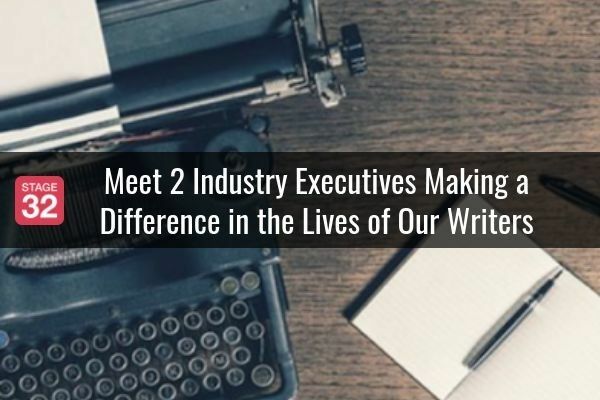 I also do this for many independent producers, writers and am consulting story analyst for Amazon Studios Feature FilmsI also ghostwrite for feature films and television series. As for my schooling by Ben, I grew up in Philadelphia where Ben is almost as popular as cheese steaks but even though I'm a vegetarian, I stuck with him. I was fortunate enough to receive two scholarships to the Charles Morris Price School, which was founded by Ben's Poor Richard Club (The Poor Richard Club is solely dedicated to the scientific study of advertising). I had a dual major, advertising and journalism. I chose to specialize in graphic design and broadcast journalism and graduated awards in both of those as well as marketing. To network with Laurie, click here.